There are many ways to sell your vehicle when it’s time for a new set of wheels. You can sell it to a friend or family member, put an ad in the newspaper or post it online to sites like Craigslist or Facebook Marketplace. There’s nothing wrong with the DIY method of selling a car but traditional methods can take time — sometimes days or weeks! And really, who wants strangers coming to your house, test driving your vehicle on your insurance? If you bring your vehicle to us, we’ll have you out of here within the hour, check in hand. Simple huh? We’ve been buying vehicles through our “Cash for Cars” program for as long as we can remember. We know you have many options when it comes to selling your vehicle so we’ve put together some frequently asked questions about the “Cash for Cars” program to help you make the right choice for you and your family when it comes time to sell. Q: I’m ready to sell my car. Now what do I do? A: Bring your vehicle to Hoselton’s Pre-Owned Super Center to have your vehicle evaluated. We’re conveniently located at the corner of Marsh and Fairport Roads in East Rochester, just off I-490. Once you get here, our Pre-Owned Super Center is located right in the middle, between Hoselton Nissan and Hoselton Toyota. A: No appointment necessary! Just stop down during business hours and we’ll take care of you! A: We know your time is valuable and that’s why our evaluation process takes 20 to 30 minutes. We also have snacks while you wait – who doesn’t love a freshly-baked chocolate chip cookie? Q: Is there anything I can do online to speed up the process? A: There sure is! We’ve partnered with KBB to give you an instant cash offer on your vehicle. Simply fill out the form, bring it in to our Pre-Owned Super Center and we’ll cut you a check. It’s really that easy. Q: What if I can’t get to Hoselton due to my schedule? Q: What type of offer will I receive? 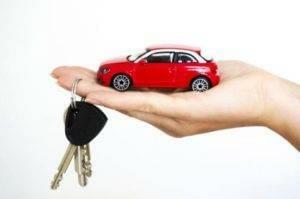 A: After we evaluate your vehicle, we will give you a written offer. We will never pressure you to sell your vehicle to us. Our written offer is valid for (5) days from the original appraisal. Q: If I’m ready to accept the offer and sell you my vehicle, what do I need to bring to the dealership with me? A: If you’re ready to sell, we’re ready to help you! Please bring your title, lien release if applicable, photo ID and all sets of keys! That’s it! A: We’ve been in business for nearly 100 years and one of the reasons Rochesterians keep coming back to us is our fair and consistent pricing – whether your buying or selling. We strive to give you a competitive offer and make the process quick, painless and pressure-free. 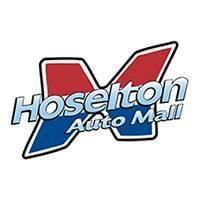 We want you to enjoy your experience at Hoselton and come back to us when you’re in the market. A: Well, have you heard of Hoselton’s $250 Promise? Maybe you haven’t – it’s new! Not only will we match any written offer, we’ll beat it by $250. If you’re still looking for more information about Cash for Cars, please give us a call at 585-586.7373. We’d be happy to answer any questions you may have.